In prior years, moms used to play a pronounced role in both the planning activities of her daughter’s wedding and on the actual wedding day. Although things have changed slightly with modern brides of the present – which is mainly due to their affluence of knowledge about what they want for their once in a lifetime event and how to get it – moms can still be, and typically are, a major player in the occasion. After all, it’s the biggest day in her child’s life, and mom surely wants to be a part of it. With a few defining rules set forth by the bride, mother’s part in arranging the event and at the wedding remains without a doubt an invaluable service, even with the savviness of contemporary brides. One of the major functions that moms provide during the initial stages of planning the wedding is assisting with procuring all of the services that will be necessary for the success of the ceremony and reception. 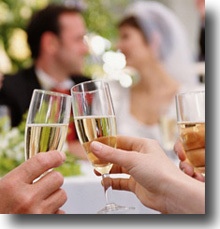 This can include anything from helping with the selection of the wedding location to the choices of the catered meals. In essence, mom is the bride’s support system and offers her expertise and opinions where appropriate. Of course, mom must realize it’s her daughter’s wedding and the bride-to-be and groom oftentimes make the final decisions. 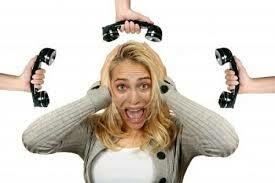 One crucial role that pays off big for the bride is when mom acts as a safeguard when things don’t quite go as expected. Attaining services from all the necessary wedding suppliers can be a tad exasperating at times, especially when it appears that you’re not going to receive the exact services you thought you were at the price you originally contracted for. With mom handling these issues if and when they arise, it can reduce a lot of unwanted stress for the intended and allow her to concentrate on other pleasurable facets of the wedding. The day of the wedding, the mother of the bride usually travels with the bridal party to the ceremony site. 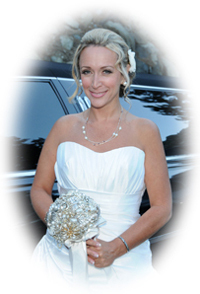 If this includes limousine services, mom is traditionally included with the group. Upon arrival and just before commencement of the bridal party’s walk down the aisle, both mothers of the bride and groom are ushered to their seat situated at the front of the ceremonial venue. At the conclusion of the rite and formal photography and after arriving at the reception hall, the mothers of the newlyweds will typically greet the guests as they arrive. As the evening progresses, the bride’s mom will socialize with and thank all those in attendance and perform accommodating duties where suitable. Traditions of the past once dictated formalities, and though the role of the mother of the contemporary bride has been altered to some degree overtime, it doesn’t mean that mom’s place in the wedding isn’t just as prevalent as it once was in former years. 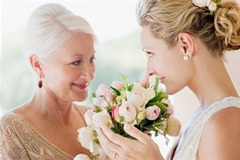 The support that mothers can offer to their daughters on their wedding day and during the course of the planning process is a great service and benefit, and even though the end decisions will classically be at the bride and groom’s discretion, recognizing mom’s inclusion into this very important event will positively contribute to the success of the day. Planning a wedding requires a lot of thought and time, and we’re here to help. Visit our website blog for additional assistance with composing your very special occasion.